Making fried rice easier than you think. 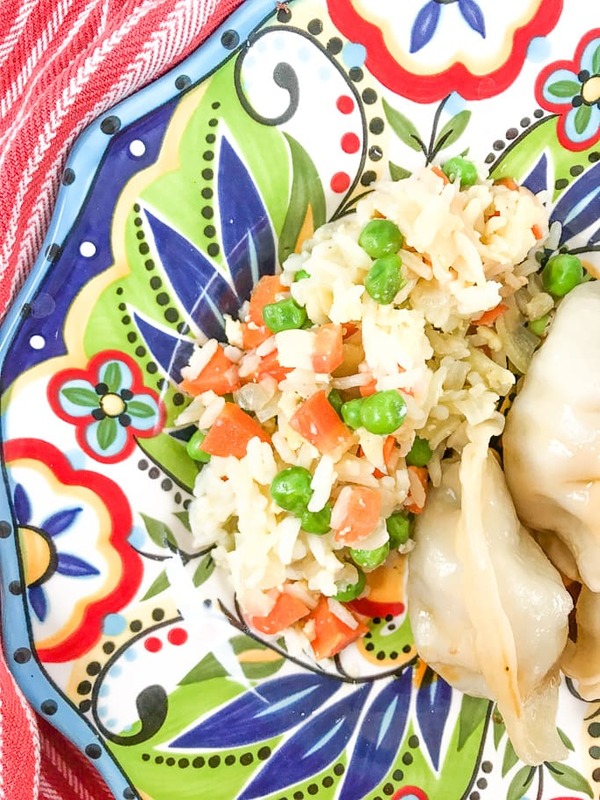 Skip the take-out line and make your own delicious meal at home with this vegetable fried rice recipe. I love a good Chinese food dinner. I love Chinese take out and I also love making it at home. One thing I haven’t made a ton of is homemade fried rice. I knew it wasn’t hard, I just had not done it. We have made prepackaged fried rice in the past and they are good, but there is something about making it in your kitchen from scratch. Sometime I get the itch to be creative in the kitchen and experiment. Those are the days when I try making things from scratch (and usually fall in love with them) or come up with creative ways to make things (like these sloppy Joe pockets). As you can see, the ingredients list for this recipe is relatively short. It’s a simple recipe that home cooks that don’t do a lot of asian cooking can still make. It does not call for any unusual ingredients that you need to go out and buy. This vegetable fried recipe recipe is simple, easy, and delicious. 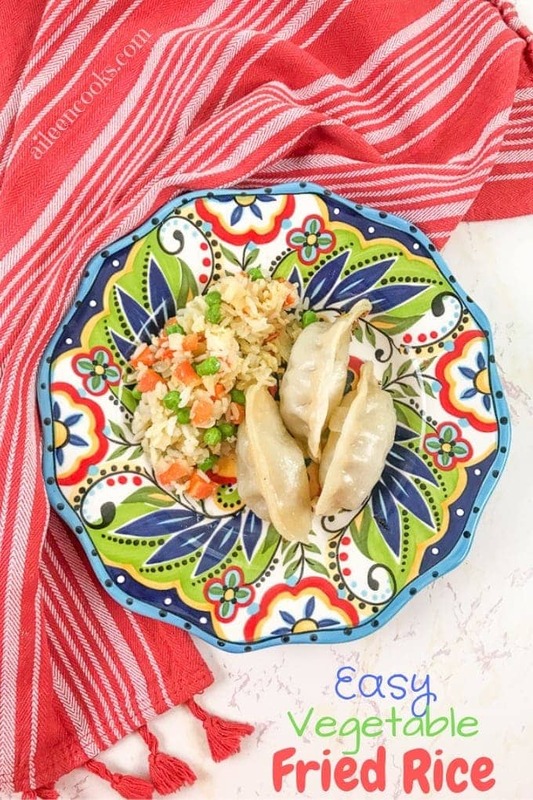 Vegetable fried rice pairs perfectly with pot stickers (as shown), sweet and sour chicken, or stir fry. Heat a large skillet over medium-high heat and add in the oil. Pour the carrot and onion into the skillet and stir fry until soft, about 5 minutes. Move the vegetables to the side of the pan and pour in the whisked eggs in the empty side of the pan. Scramble the eggs until firm, about 3 minutes. Mix in the white rice and peas and cook for 3 minutes, until warm. Pour in the soy sauce and mix. Remove from heat and serve with additional soy sauce, if desired. 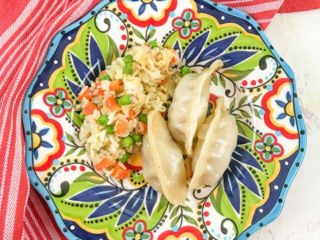 Vegetable fried rice is so easy to make at home with leftover rice. If you try this recipe, please tag us on social media using @aileencooks and #aileencooks so we can check it out!